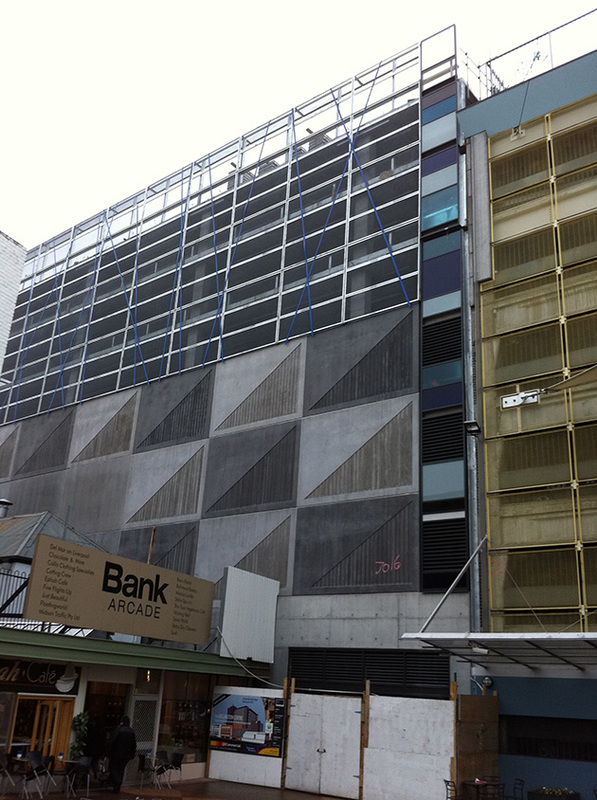 A 12-storey mixed-use development in the centre of Hobart providing car-parking, retail and office space. The building structure consists of a multi-storey post-tensioned concrete frame on bored concrete piled foundations. A restricted site, underpinning of adjoining Victorian buildings of dubious construction, close proximity to the Hobart Rivulet, underlying dolerite boulder beds and the inclusion of a basement supermarket (partly excavated back under the existing Argyle Street car park) all combined to make this a particularly challenging project to get out of the ground. The design of the basement presented the greatest challenge on this project. Structurally, it needed to deal with fluctuating ground water levels and flood events (originating from both within and underneath the Hobart Rivulet), and also be able to deal with the inevitable leaks that will occur despite the best of waterproofing intentions (and the large number of slab penetrations required for supermarket services). The solution involved a structural base slab overlying a bentonite geotextile membrane designed to be waterproof (in theory) and to resist uplift pressures. A drainage layer was installed over this (300 mm free draining gravel) and a topping slab. These layers acted as ballast to help balance the uplift, and served to drain groundwater seepage to a pump station. An exciting development that offers a new amenity in the CBD that reflects the trend towards inner-city living.